When considering the characteristics of a strong commercial office precinct, success is not only determined by aspects of the market like modern, efficient floor space or the relative affordability of rent. Peripheral factors like access to public transport nodes, the surrounding employment catchment pool and geographical amenity also play a major part in corporate office location rationale. The evolution of Sydney’s metropolitan commercial office precincts solidified in the last quarter of the 20th century. The CBD, Sydney’s core market, is the 5.0 million sqm white-collar heart of the city, accommodating the majority of national and international finance, legal and insurance firms. Across the bridge to the north, commercial precincts stretching along an arc across the North Shore from North Sydney, through St Leonards and Chatswood and ending in Macquarie Park have become synonymous with the telecommunications, pharmaceutical and technology sectors. Located just 7 kilometres from the Sydney CBD, the South Sydney office precinct, clustered around Mascot, is the gateway precinct to economically important Sydney Airport and Port Botany and has long been associated with Sydney’s Logistics and Transport sector. In the last decade or so, new road infrastructure, large development land holdings and the relative affordability of the outer west has seen the departure of many industrial occupiers from South Sydney’s industrial areas (many taking their office operations with them). There has been a noticeable impact on the small South Sydney office market – vacancy has ballooned to 20.5%. South Sydney needs a new identity and it has a lot of factors in place to achieve it. Traditionally a blue-collar, working class area, the whole of South Sydney has undergone significant gentrification over the last two decades. New South Wales Government “in-fill” initiatives, which set targets of 60%-70% of all new housing to be built in established areas from 2005-2031, has created significant population growth within South Sydney. The Australian Bureau of Statistics (ABS) reported a 41.5% increase in the population of the City of Sydney local government area over the 2001-2011 period (which incorporates the South Sydney suburbs of Alexandria, Zetland and Waterloo). The City of Botany Bay, which incorporates the southern commercial areas of Mascot, Botany and Rosebery, grew by 12.0% over the same time period. Demand for inner-city living has attracted the demographic of a younger, highly-educated, more affluent population. For example, people with a bachelor degree or higher increased 44% in the five-year period from 2006-2011 (ABS Census) in the suburb of Alexandria and an 18.4% increase was recorded in Mascot. 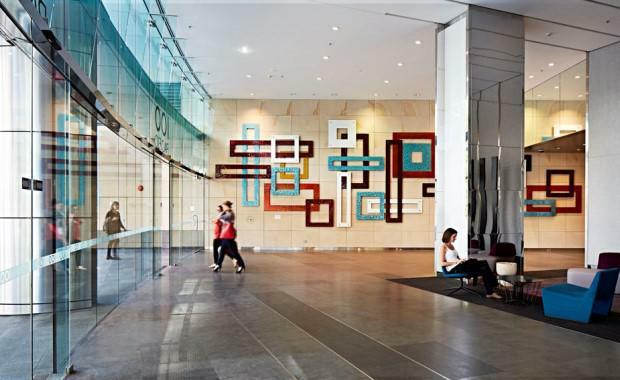 The South Sydney precinct has New South Wales’ top three ranked universities within a 10km radius and is serviced by growing social amenity in areas like Danks Street and Alexandria. With an increasing population of young, well-educated workers and comparative rental affordability when measured against established commercial office locations such as the CBD and Sydney Fringe, South Sydney has an opportunity to significantly grow its commercial office base in the coming decade and even reinvent itself as an innovation hub, competing to accommodate Sydney’s creative, media and technology industries in the future. Rick Warner is the Strategic Research Analyst for Jones Lang LaSalle, based in Sydney, Australia.